Stabila level set containing a 1200mm 70-2 box section level and a 70T torpedo level. Box section level has permanently fixed vials for long term accuracy, guaranteed to 0.5mm per metre. Torpedo level vials will never fog, leak or require adjustment. 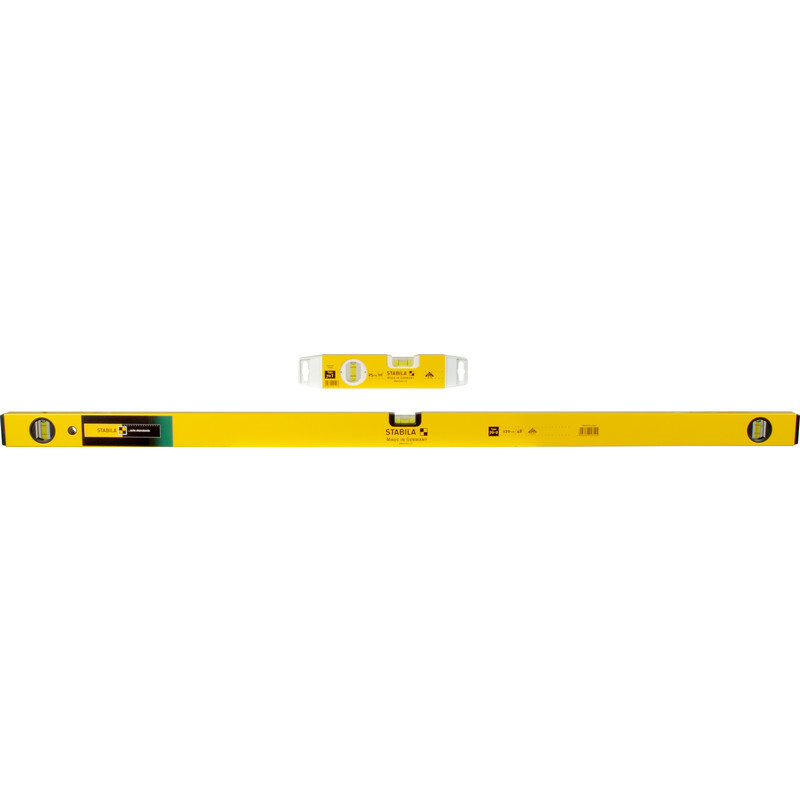 Stabila Spirit Level Set is rated 5.0 out of 5 by 3. Rated 5 out of 5 by Big Bobs Beans from quality spirit levels Value for the money, quality is what I needed as I use this every day in my job as a 1st & 2nd fix Carpenter & Joiner.